We had a blast in Izamal, in no small part owing to the city’s numerous historic sights (and some fantastic weather). Our hotel stay, however, elevated our visit to another level. 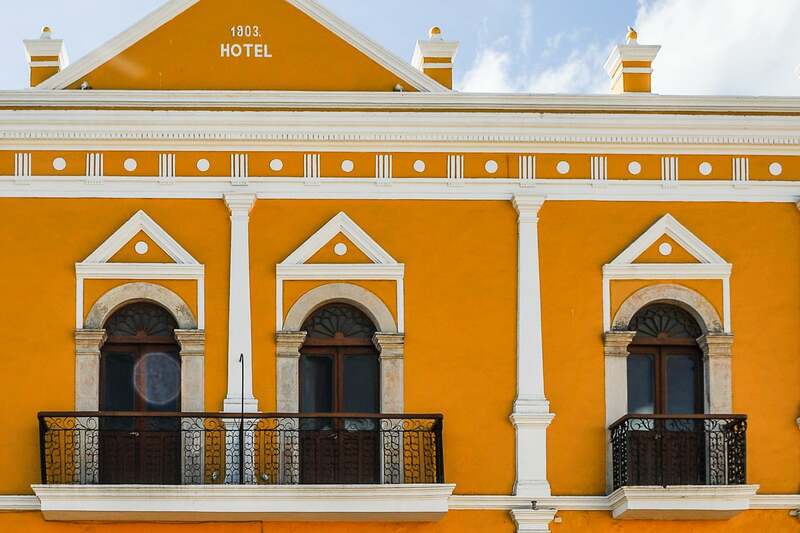 Hotel San Miguel Arcangel blew our socks off (well…I don’t think any of us were wearing socks in the Yucatan heat, but you get the idea). The hotel offered a comfortable stay, memorable experience, and incredible value, and now ranks among our all-time favorite stays. Not only was the price right (about US$50 per night), but the hotel is about as central as you can get, as charming as you can get (beautiful colonial building in excellent repair — fresh paint, rich wood accents, even a fountain which seemed to be cleaned daily), and the staff were extraordinarily friendly and helpful. 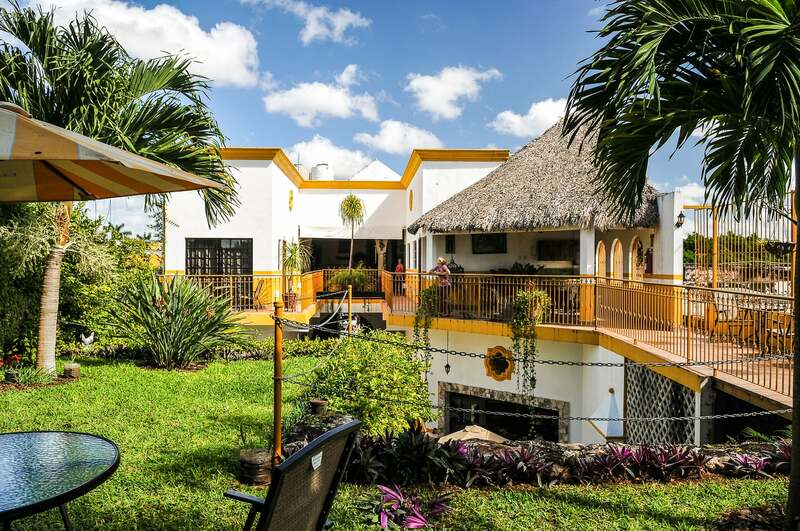 Rooms were clean and spacious and came complete with tile floors, flatscreen TV, mini fridge, air conditioning, and everything else you would expect from a boutique or luxury hotel costing much more. We stayed in one of the balcony rooms overlooking the plaza with a nice view of the central government building, convent and rest of the plaza. There was a bit of street noise from the busy plaza, but with the air conditioner on, we really didn’t notice it all that much. There are also quieter rooms with balconies overlooking the hotel’s lovely garden area, if that’s the sort of thing you’re in to, but they are a bit less charming than the front rooms. The property offers a number of comfortable shared spaces to relax—chief among them perhaps is the large, multi-level garden area behind the main building. For a unique experience, head to the table on the upper level of the old stone structure. 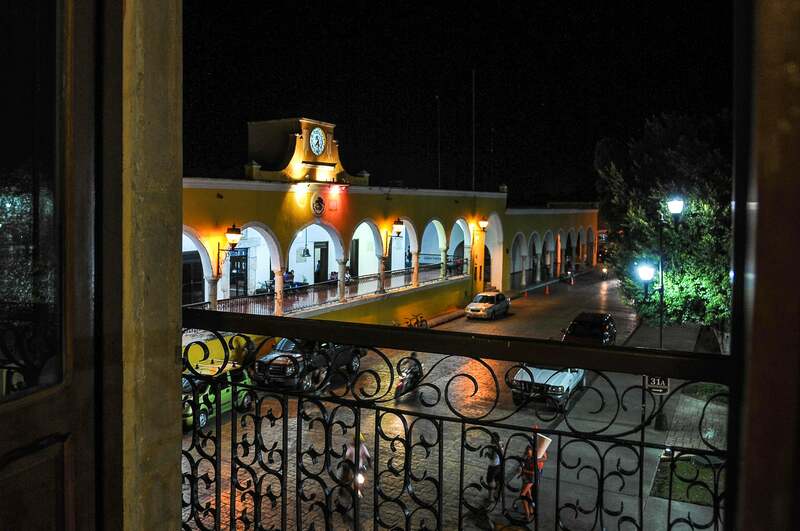 If you happen to be coming to Izamal under your own steam, parking can’t get much easier. We had no problem getting a parking place right across from the front entrance on the main square. The area is patrolled at night by security guards and we encountered no issues during our stay. 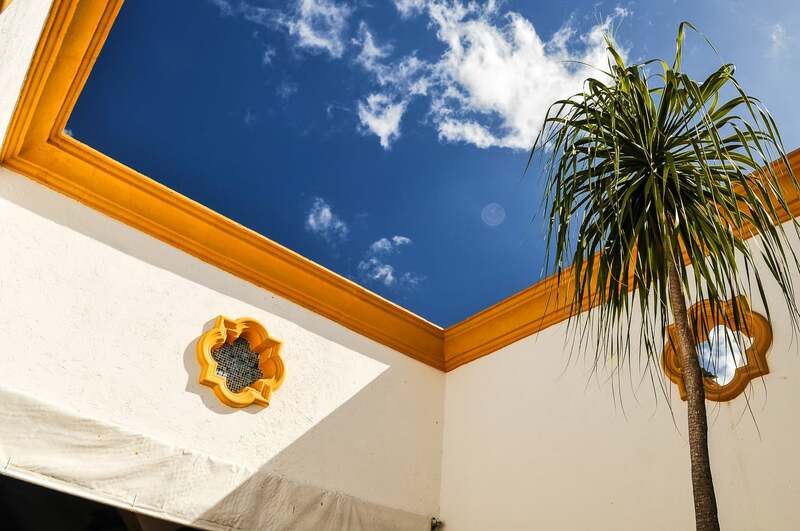 Overall, Hotel San Miguel Arcangel is hard to beat.